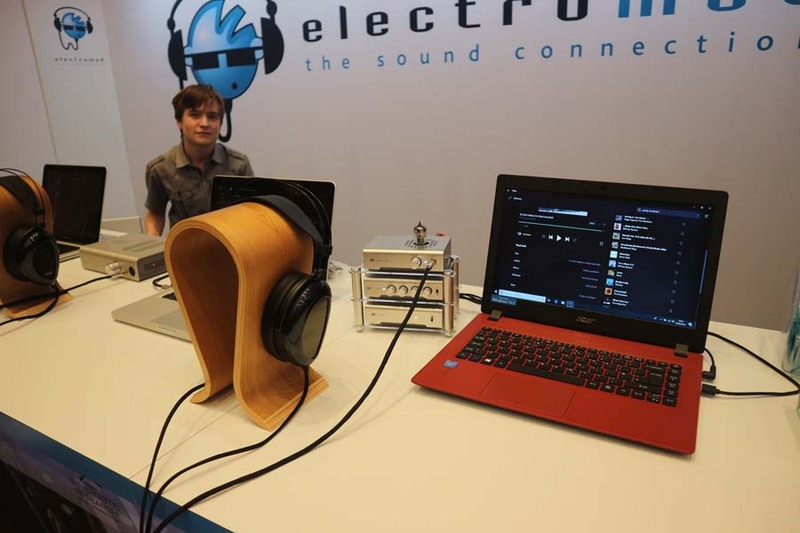 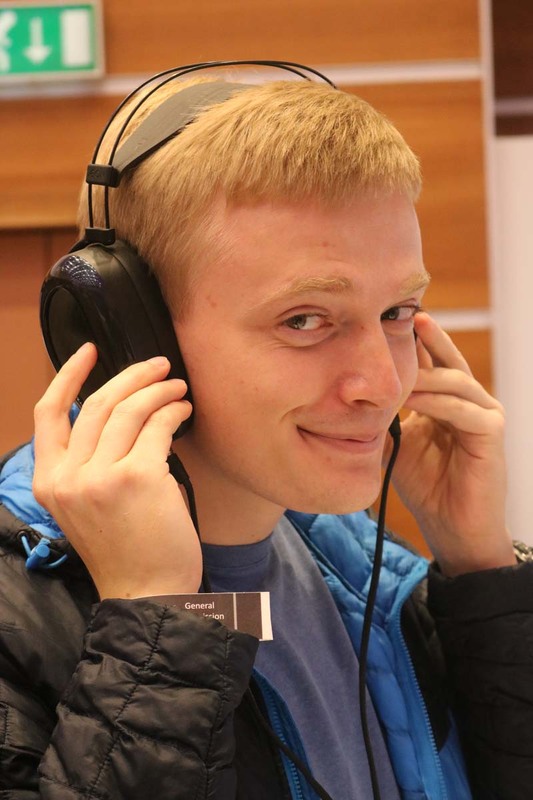 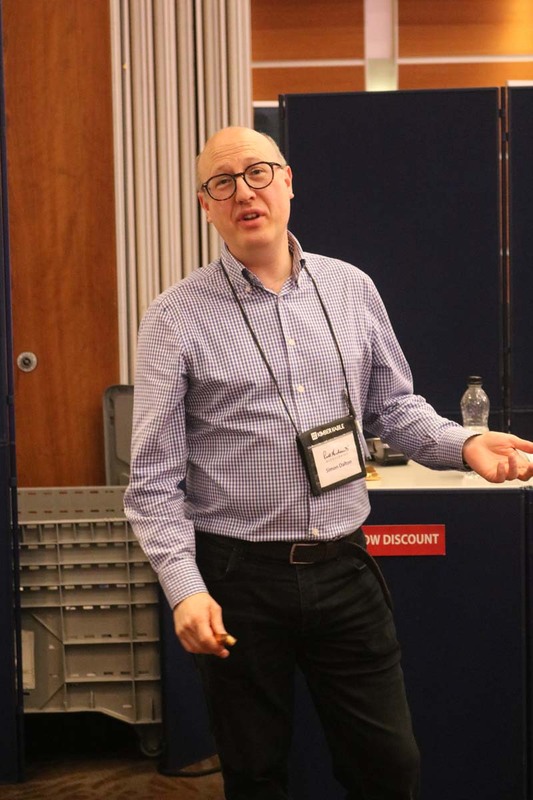 In part 2 of his report from this year’s Festival Of Sound held in Hammersmith, London, Stuart Smith takes a look around the static stands at the event and the headfi zone. 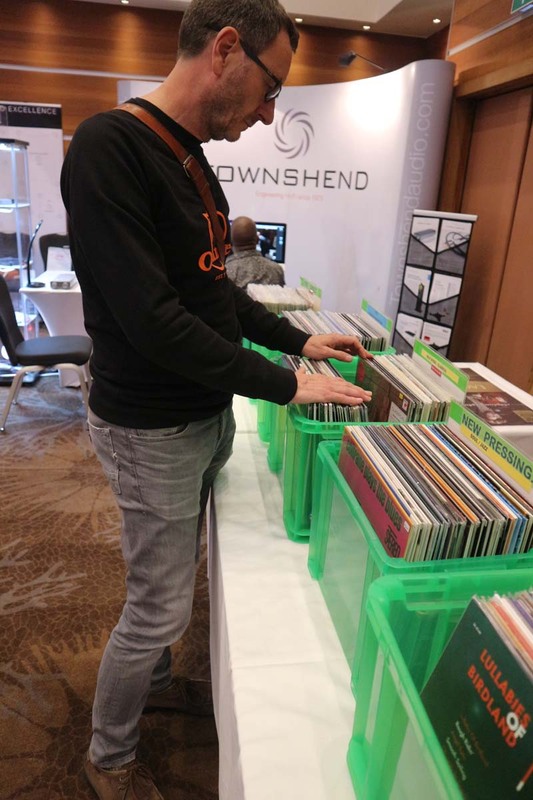 What i really enjoyed about this year’s Festival Of Sound was that away from the HiFi there was always something to look at and enjoy. 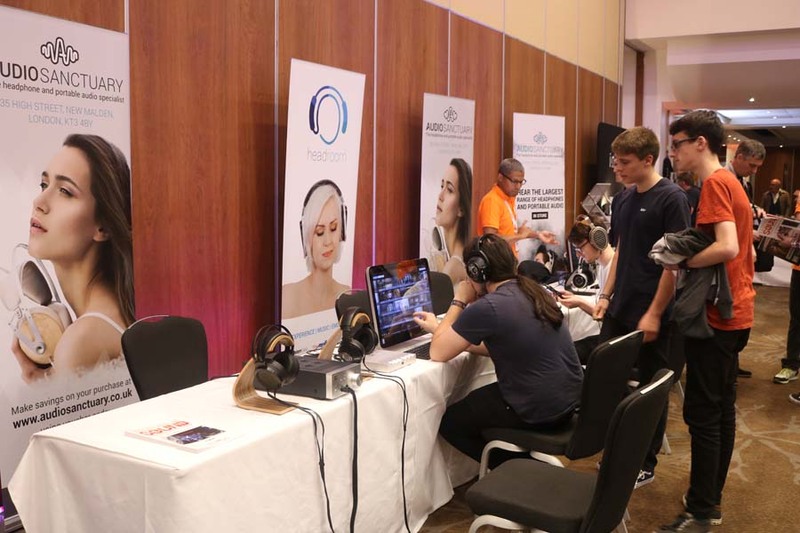 I think this was a big step up from last year’s event and feel that the more compact format made for a more manageable show with us able to spend more time in rooms and chatting to people, even though we only had one day to enjoy the whole show. 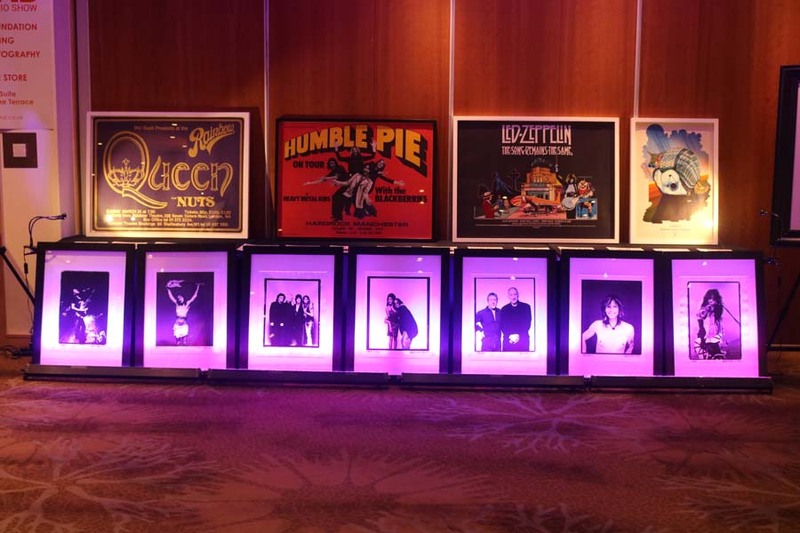 Here are some iconic gig and film posters plus photographs from Ross Halfin. 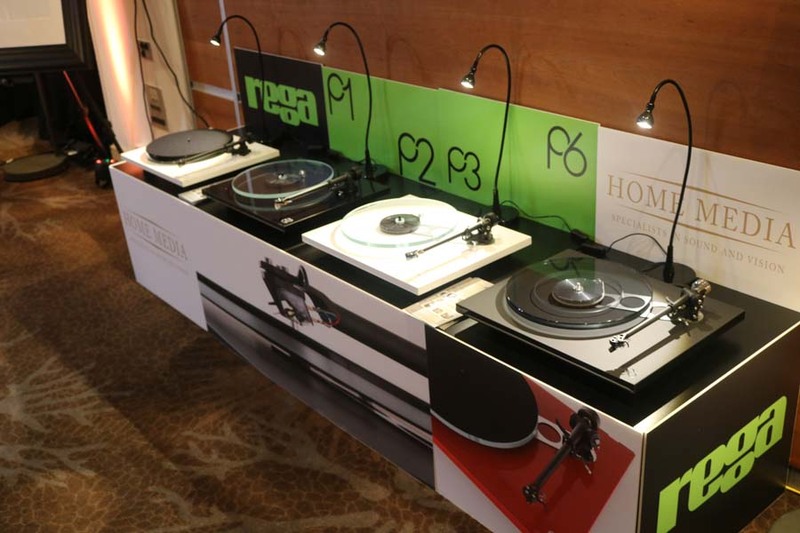 A quartet of Regas presented by the guys at Home Media based in Kent. 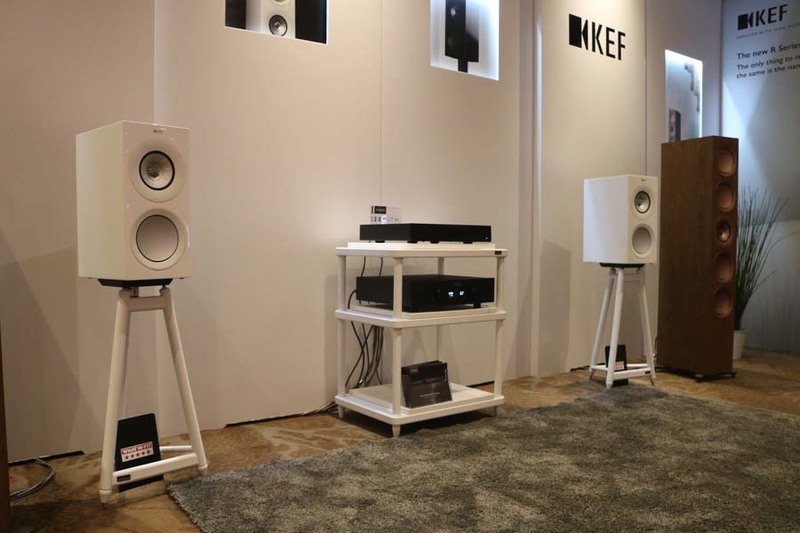 KEF and their wares. 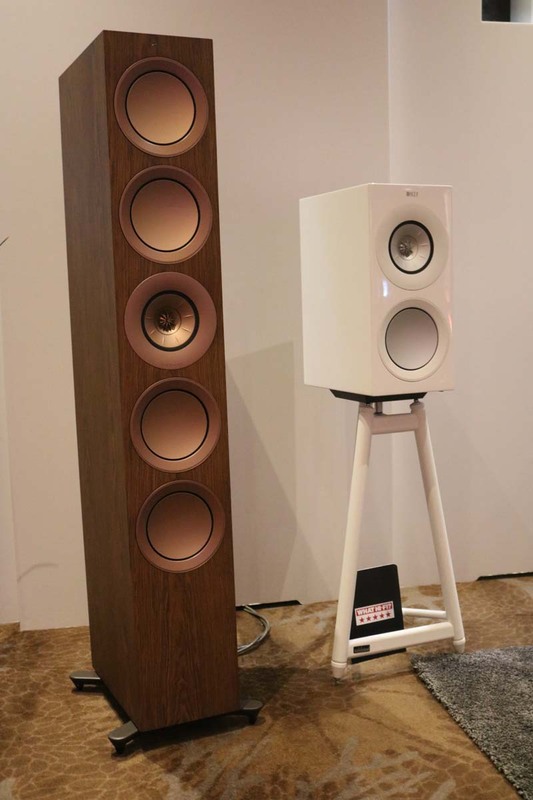 The speakers are the company’s revamped R Series about which you can read here. 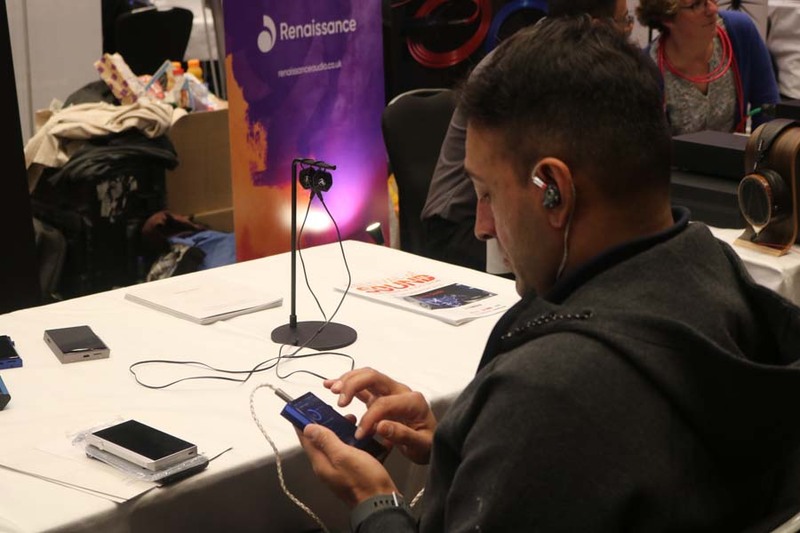 Although we only got to see a short part of the Art Of noise set on Friday night there were seminars throughout the weekend as well as the Festival Of Sound Buskers playing music around the show and music events each night. 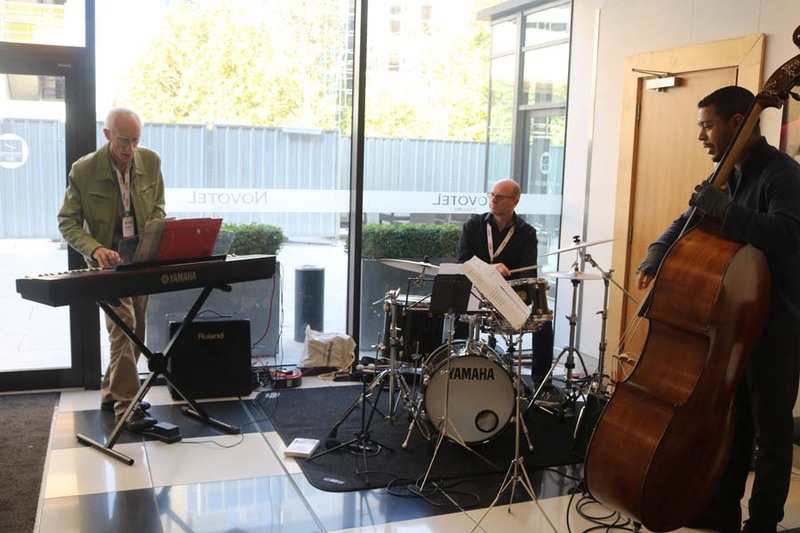 Thursday night saw James Lavelle and Philip Shepherd take to the main stage in the Chablis suite, whilst Saturday night we had the aforementioned JJ Jeczalik and Gary Langan of Art Of Noise and Saturday saw Beth Nielsen Chapman and then Kokomo take to the stage. 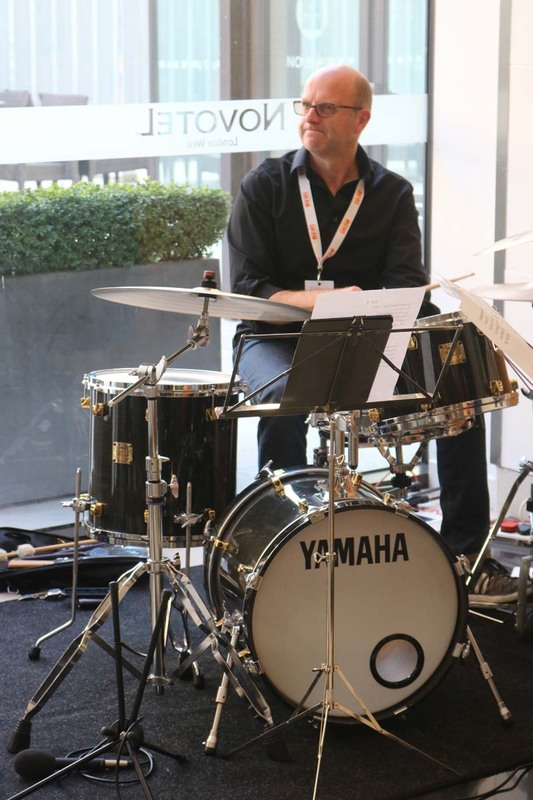 Other bands played through out the day too in the Chablis Suite and included Chris Difford and Boo Hewerdine, Dre, King Kofi, Margin Kings, Peaky, Unsung Singers, Drum Summit and Antonio Forcione. 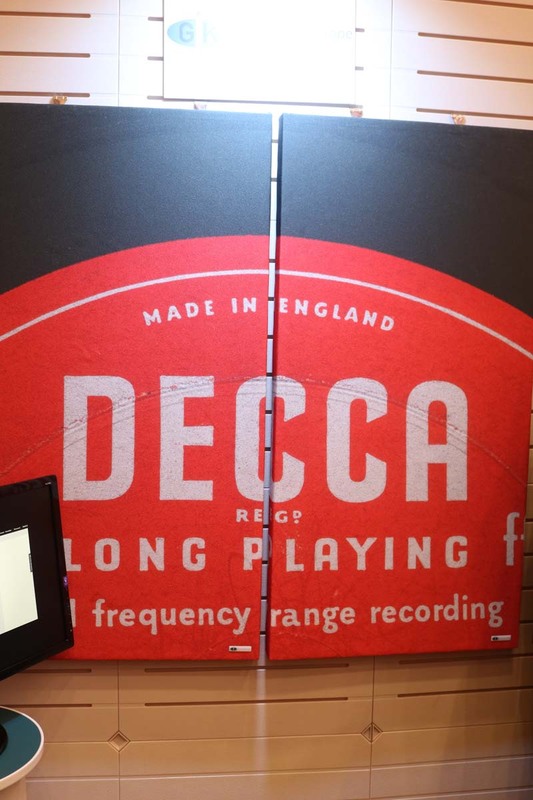 as well as music there was a full and varied line up of talks and seminars ranging from Evenings With Led Zeppelin by Dave Lewis and Mike Tremaglio to The Future of Technology with Peter Aylett, Discovering Better Sound with Russ Andrews, PMC and The Music Makers with Peter Thomas and Chris Difford, Shut Up and Play The Cello with Philip Sheppard, Queen’s Bohemian Rhapsody Unwrapped with Gary Gary Langan, a Songwriting Course with Chris Difford, Guitar Fest, Clutching At Straws with Chris Kimsey, Recording Adele and Others with Liam Nolan and finally ending with Dave Shevyn from GIK Acoustics giving a talk on room acoustics. 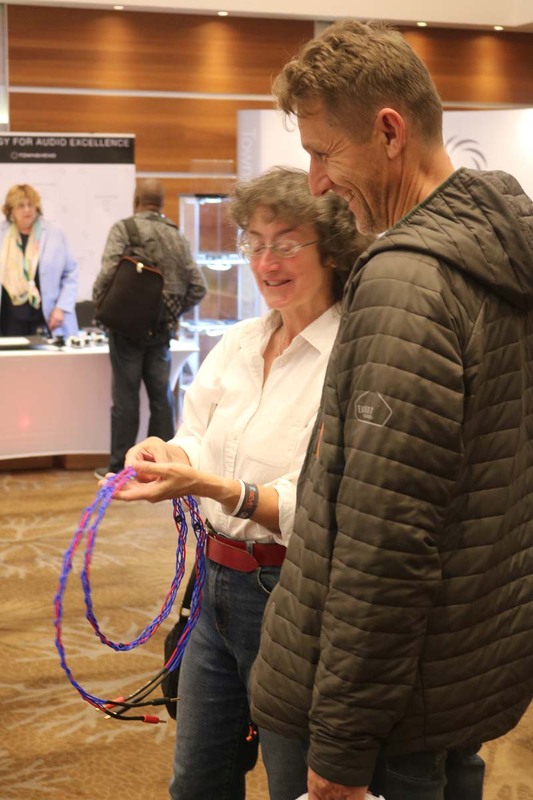 Whilst visitors attending for the full weekend would still need to cherry pick the groups and seminars they wanted to see, no one can accuse the orgnisers of not offering something for pretty much everyone. 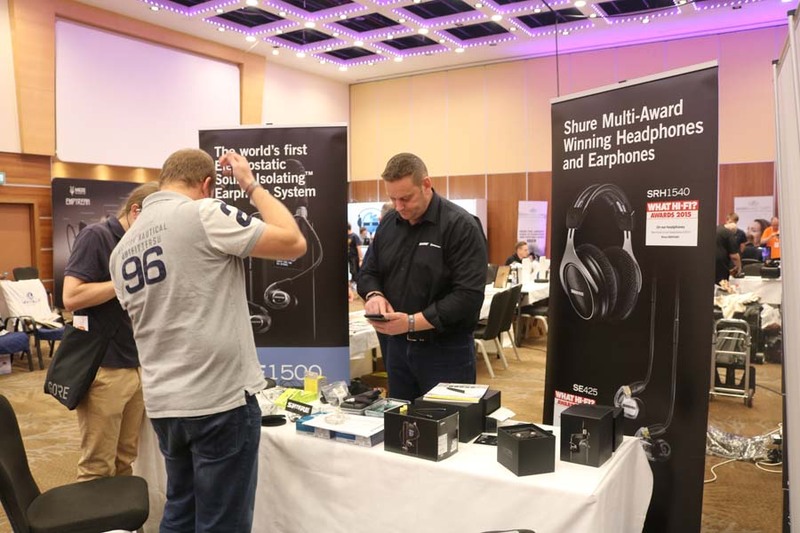 I was I’ll be honest a little unsure about what I thought about this whole mixing HiFi with seminars and live music but feedback was positive and visitors certainly seemed to enjoy the events. 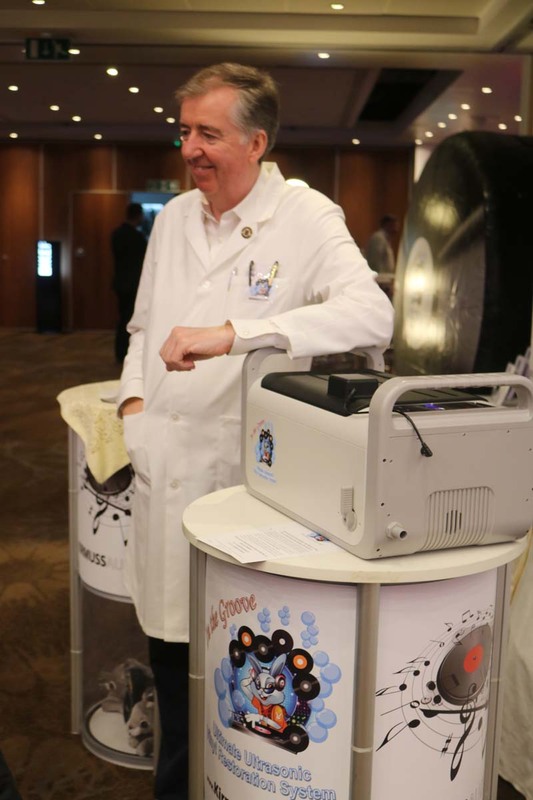 This is the Kirmuss Audio ultrasonic record cleaning machine being demonstrated by kevin from the company. 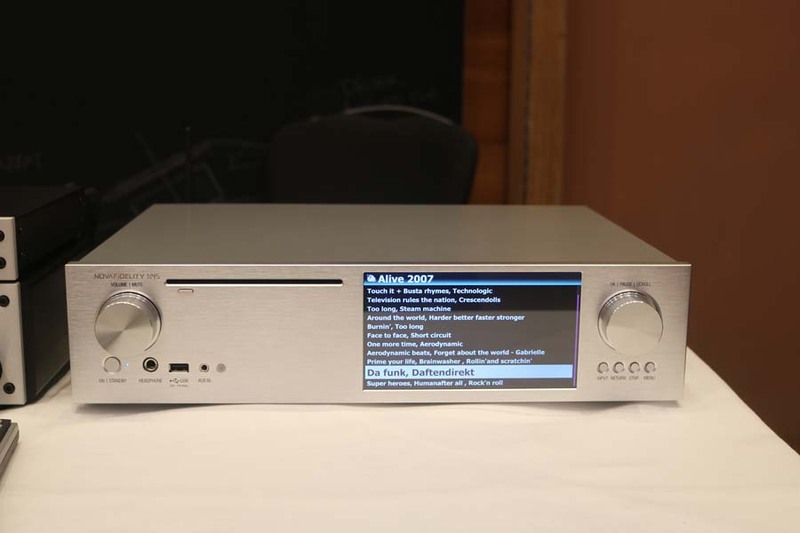 expect a review on this machine on HiFi Pig in the coming weeks. 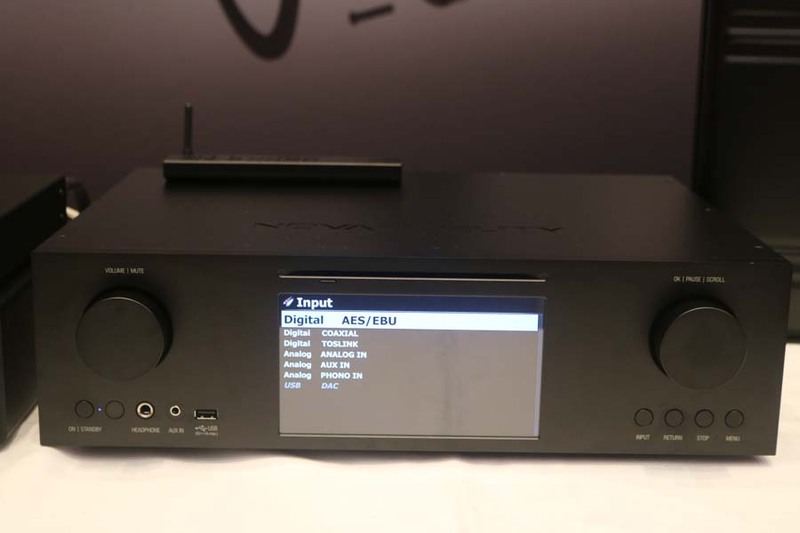 We first came across this machine at North West Audio Show and very much looking forward to seeing what it is able to do. 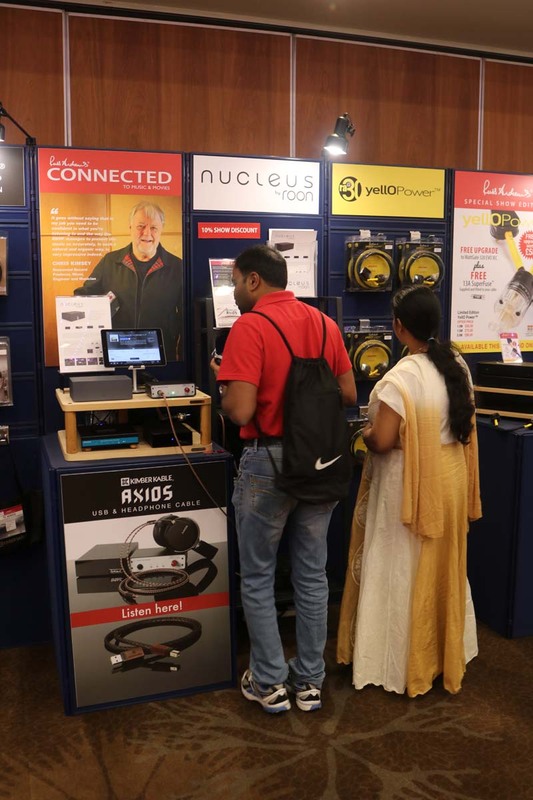 The Russ Andrews stand was full of tweaking accessories for people to buy and Russ mentioned that trade had been brisk. 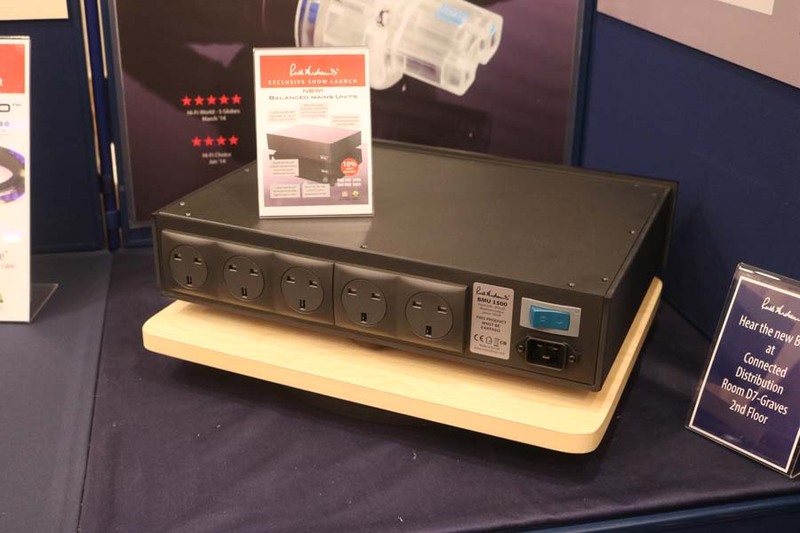 New on the stand was the company’s MBU 1500 balanced mains unit. 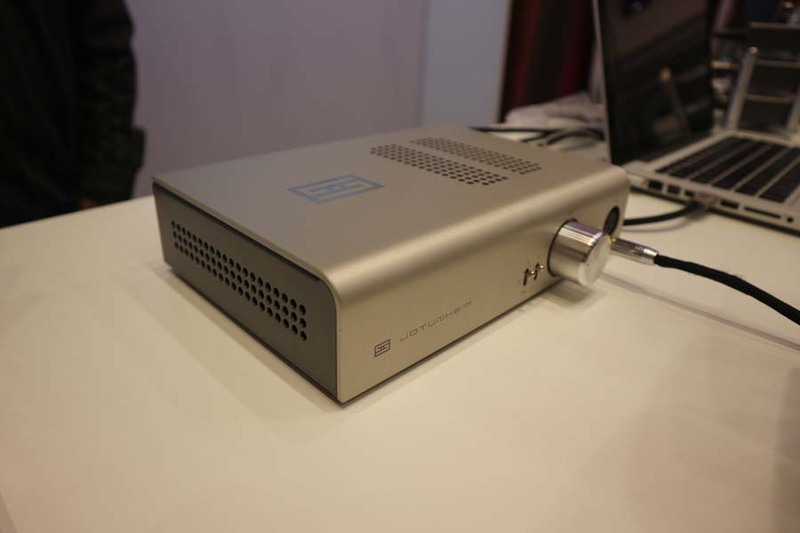 HiFi Pig reviewed their BMU 300 some time ago and found it to be very good indeed…you can read the full review here. 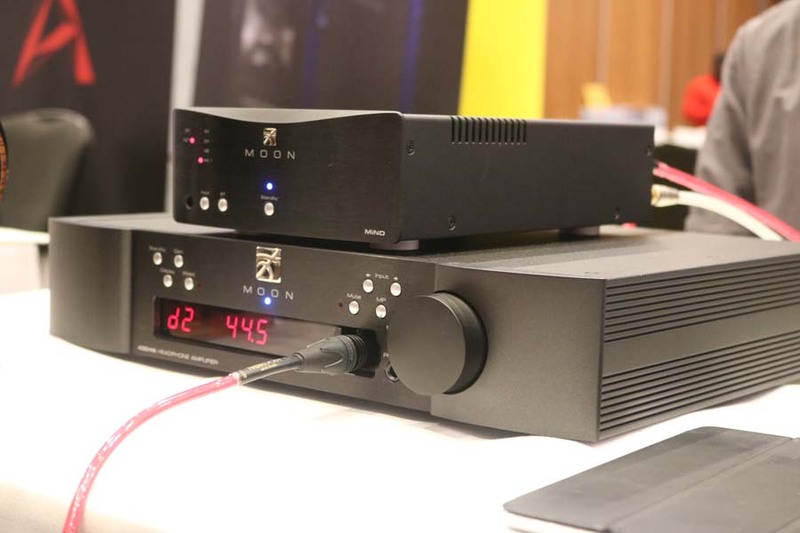 Below that you can see the Rupert Neve headphone amp we reviewed here alongside the Roon Nucleus – review live soon. 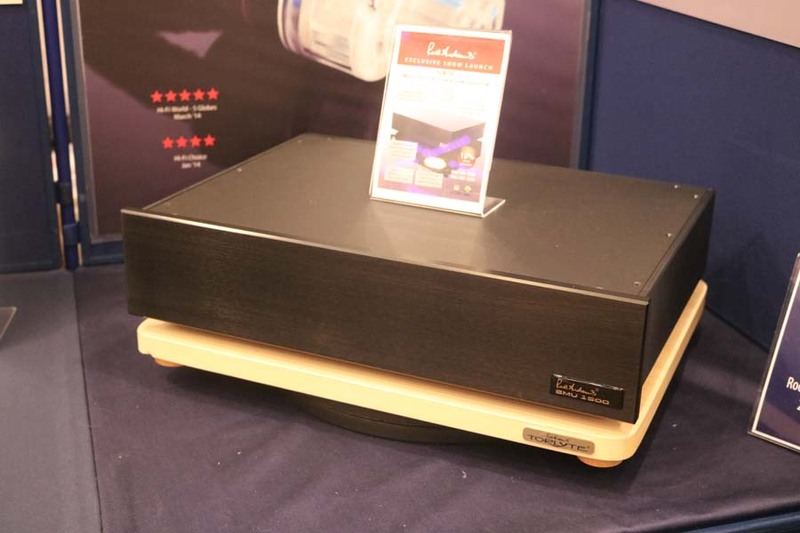 Townshend Audio were showing off their Seismic speaker bars and Seismic platforms but what Max was really excited about was the company’s new two box preamplifier seen below. 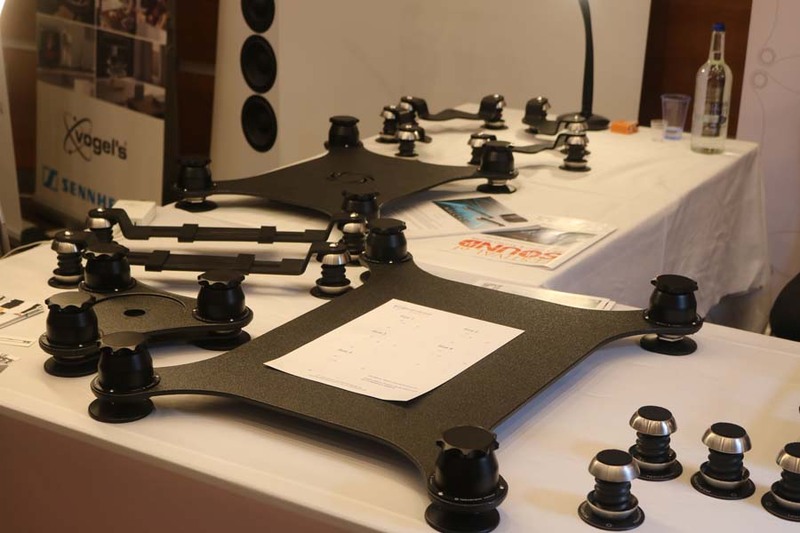 GIK acoustics need no introduction and their panels won a HiFi Pig Outstanding Product award when we reviewed them some time ago (read the full review here) . 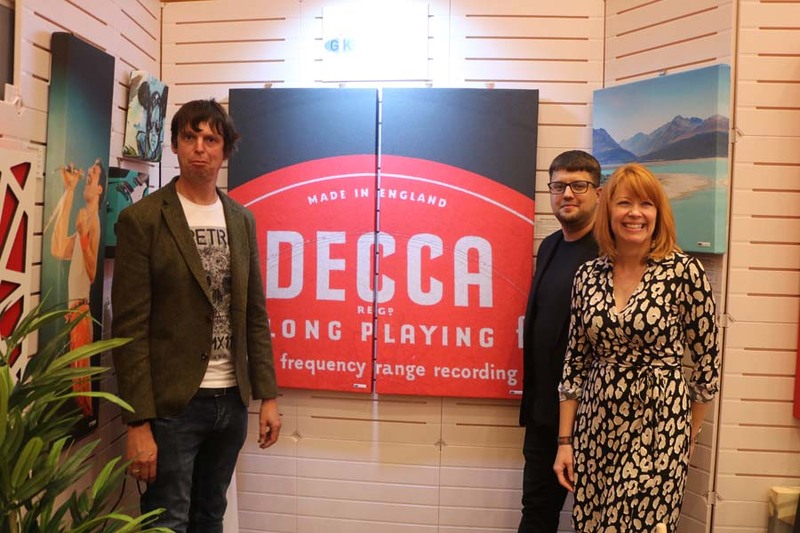 The company are forever coming up with new ideas and the classic Decca records label panels really caught my eye. 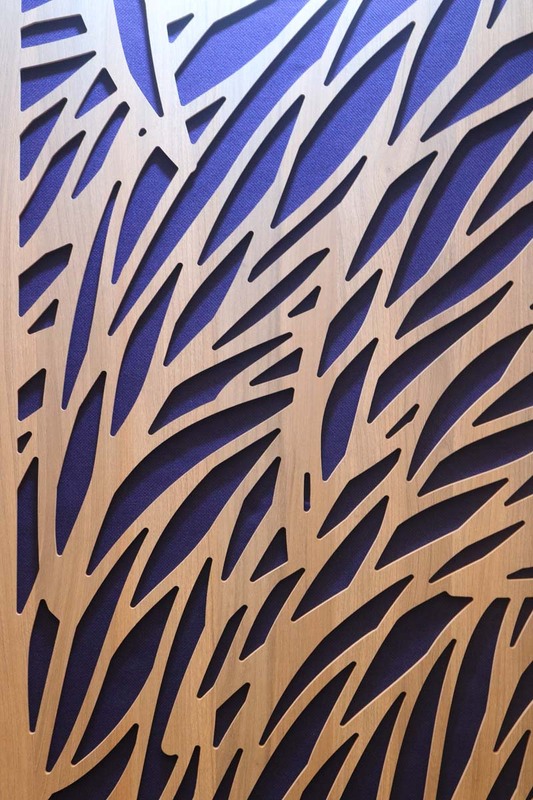 The final panel is the company’s new “Wavy Leaves” design and comes in at a price of just £120 per panel. 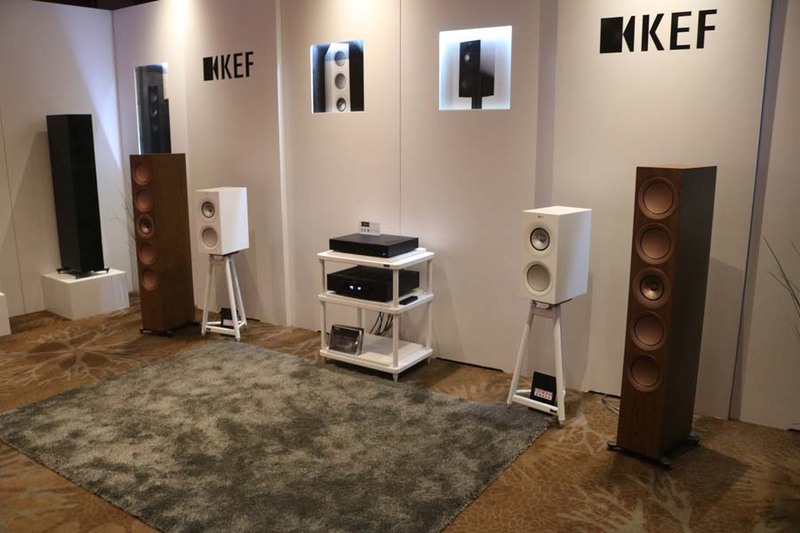 We use the panels from GIK on a daily basis both in our main listening are and in our less than ideal second space where we house our mid-price reference system. 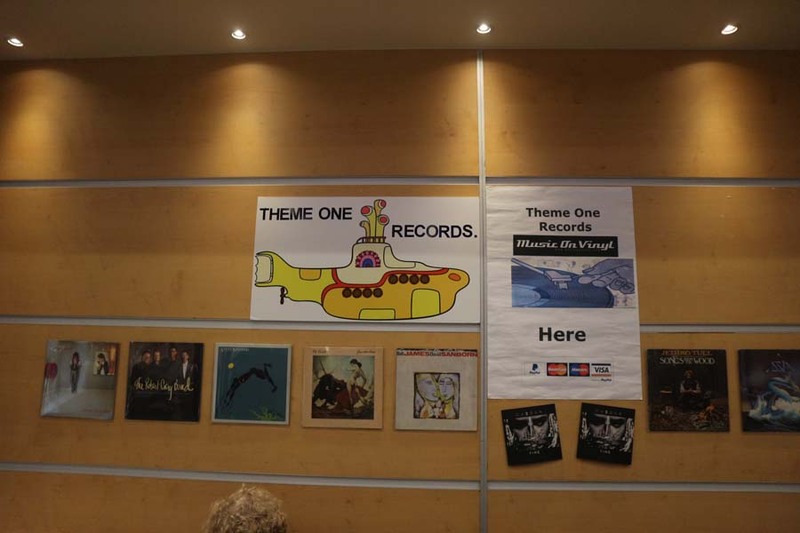 we really couldn’t have the system in the second space without judicious use of their panels. 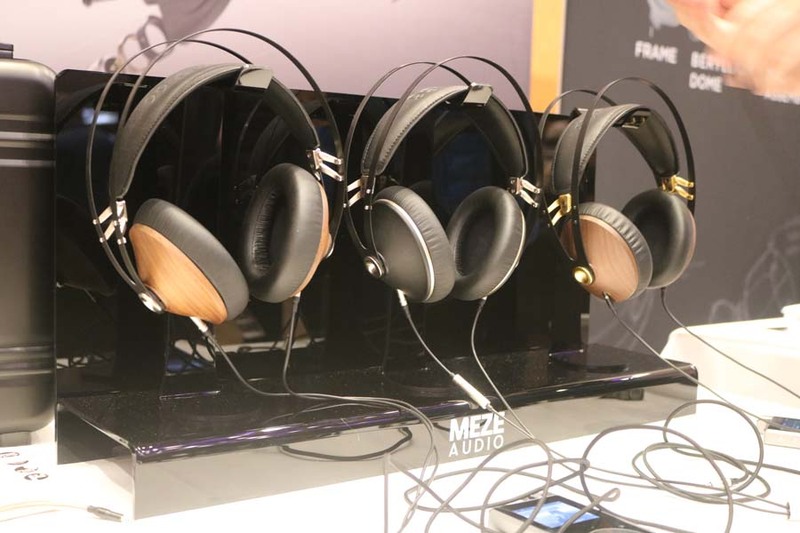 SCV had a whole host of products from Meze (headphones), Benchmark (DACs and amps) but of most interest was the Novafidelity streamers. 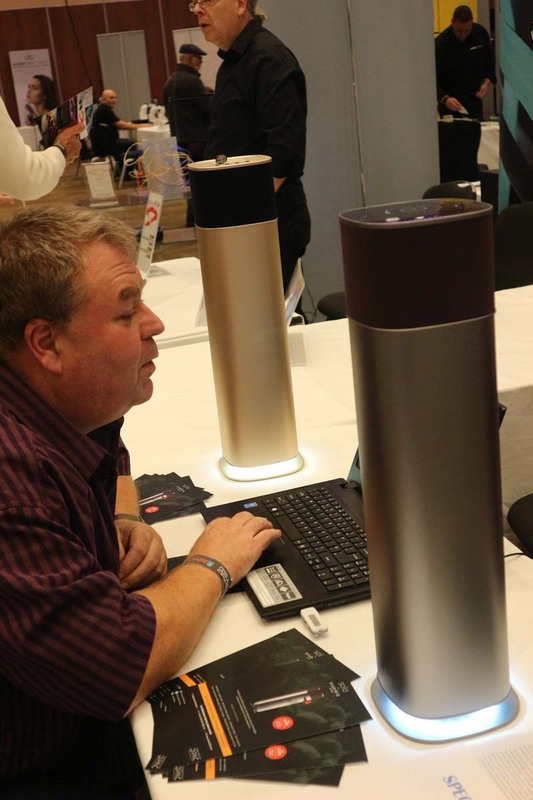 SCV have just got the ditribution deal for Novafidelity in the UK and new models have been introduced. 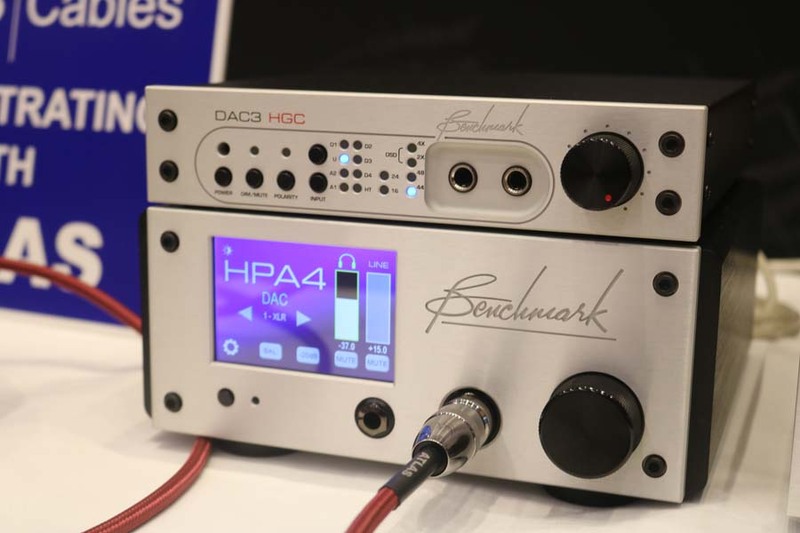 You can read about the new models and their pricing here. 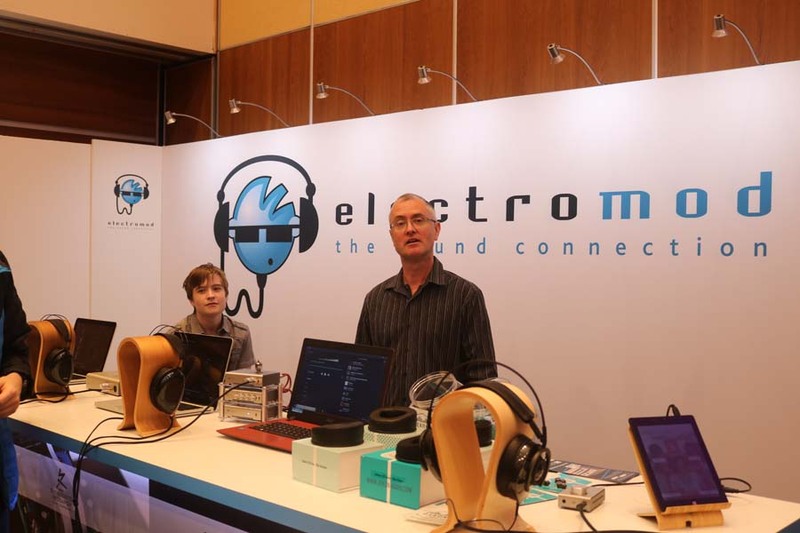 Mark from Electromod was a little under the weather with a heavy cold but that couldn’t dampen his spirits with the Mr Speakers headphones and Schiit units going down a storm. 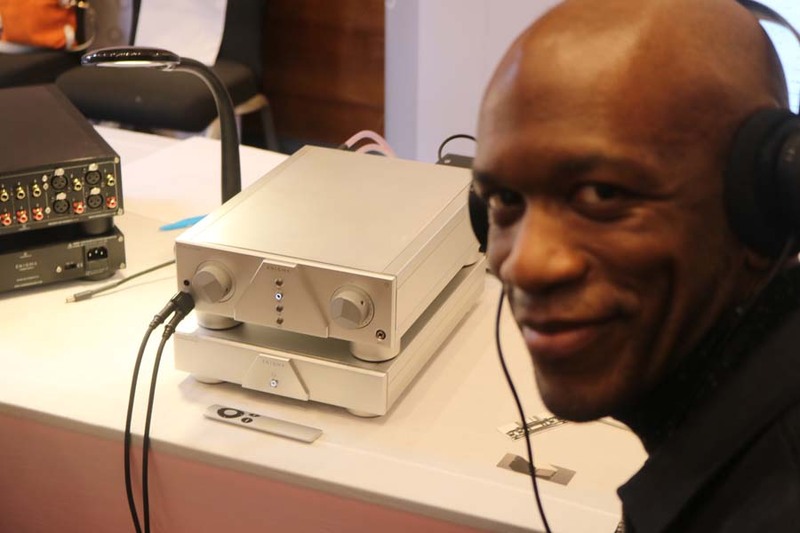 I’m forever amazed at the quality of the Schiit gear that never fails to punch well above its very modest price-point and it’s no wonder that Mark is selling the units as fast as he can get them in from the States. 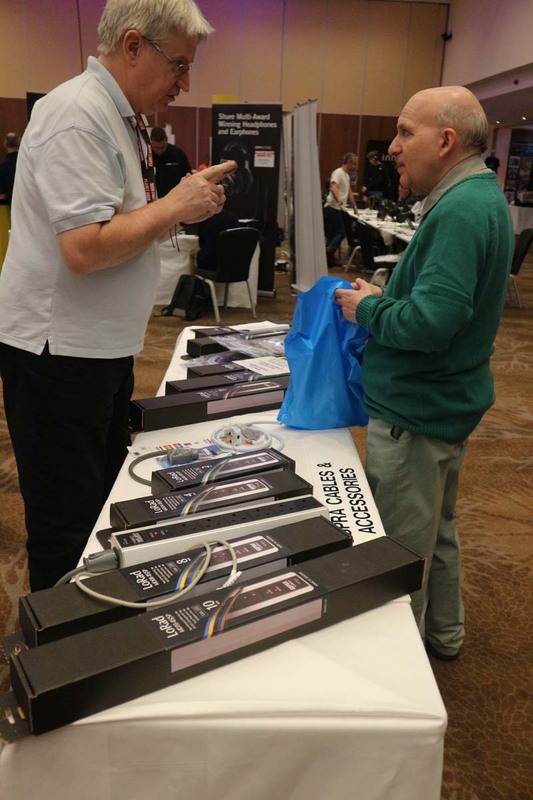 Audio Sanctuary had a wide range of headfi kit on show and it was certainly proving popular, particular with younger people. 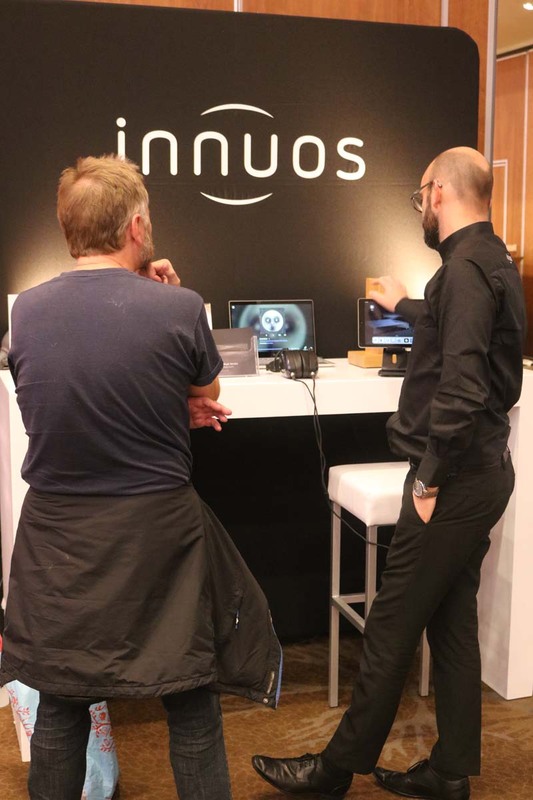 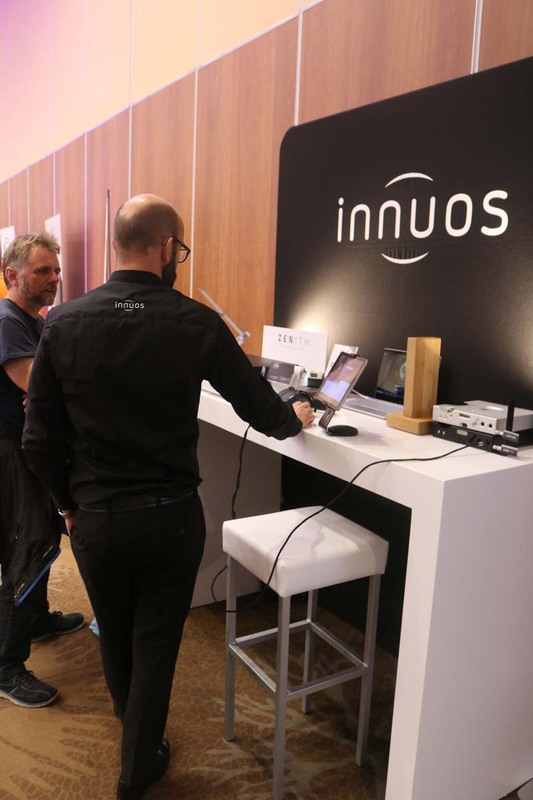 We mentioned Innuos and their new Statement streamer in my previous write up but they also had a static stand where they were able to explain the technology to interested visitors more clearly….though I’m sure many of the visitors to this stand will have been guided to the company’s room to hear the dem between their Zenith SE and Statement products…it really is something you need to hear. 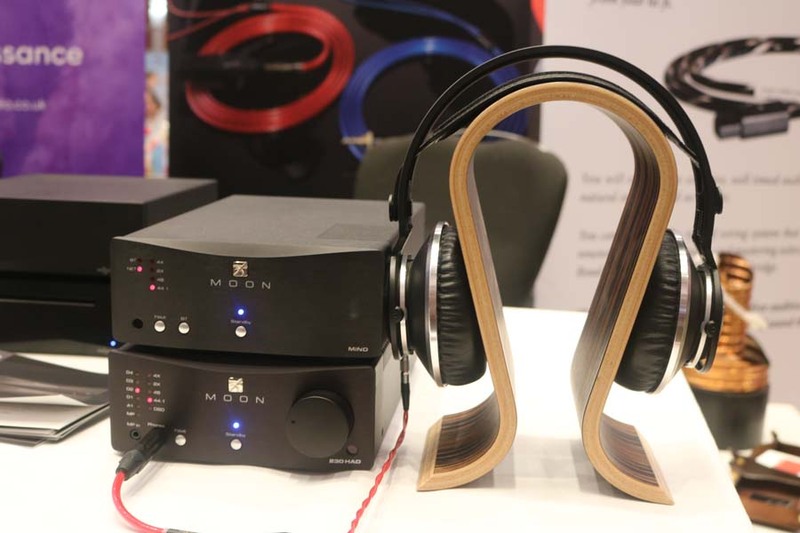 Cables from Studio connections and headfi kit from Moon. 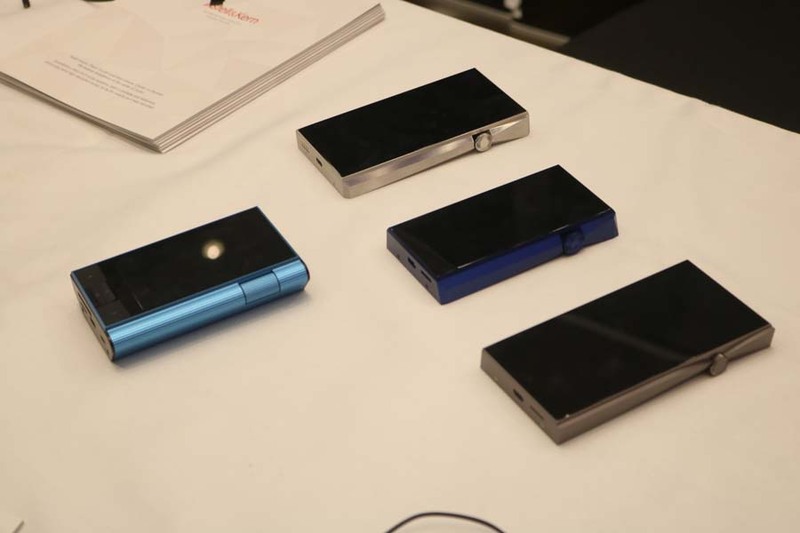 Digital Audio Players from Astell and Kern. 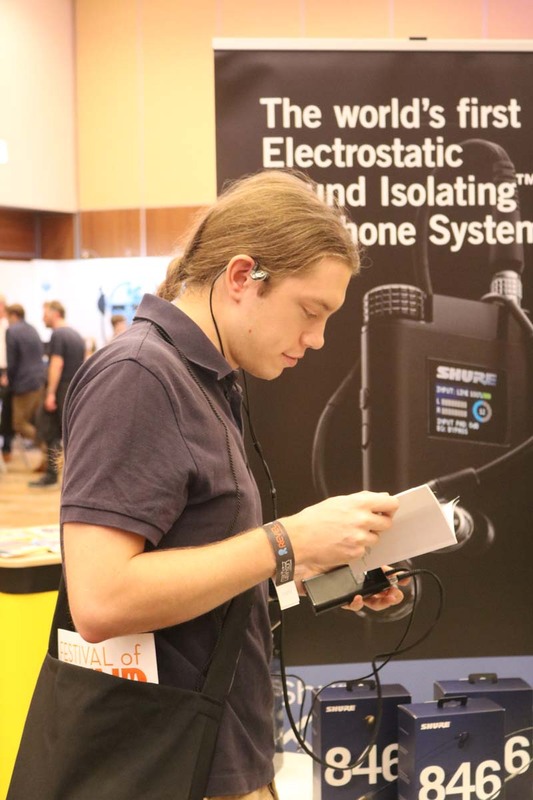 Headphones and In-Ears from Shure. 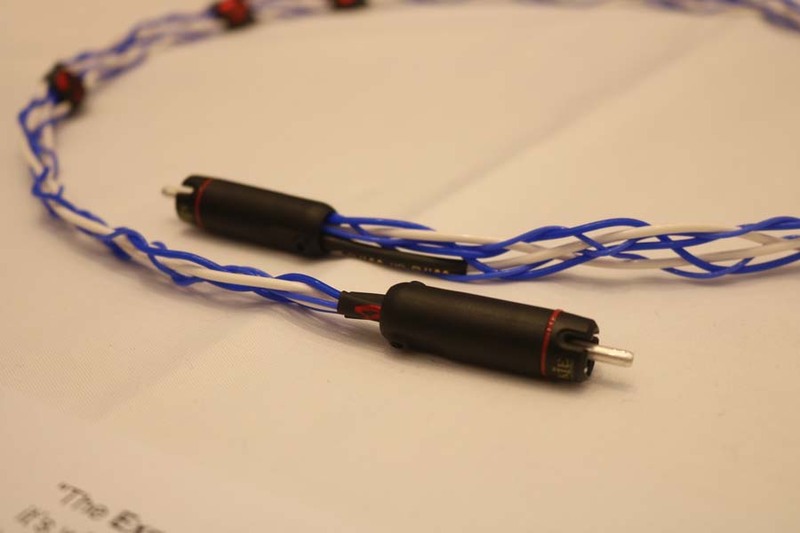 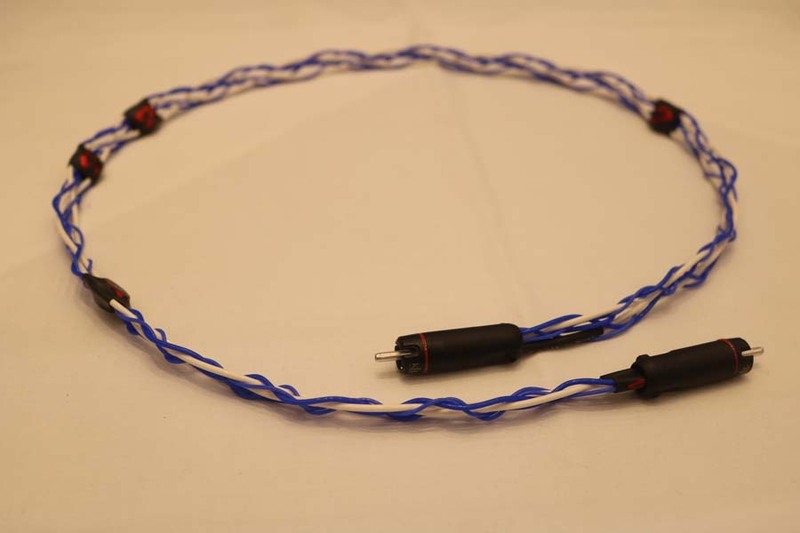 Wire On Wire make an interesting series of cables, both interconnects and speaker cables, that are tuneable…that is users can play about with the cables geometry using a set of spacers to achieve the sound that they are most happy with. 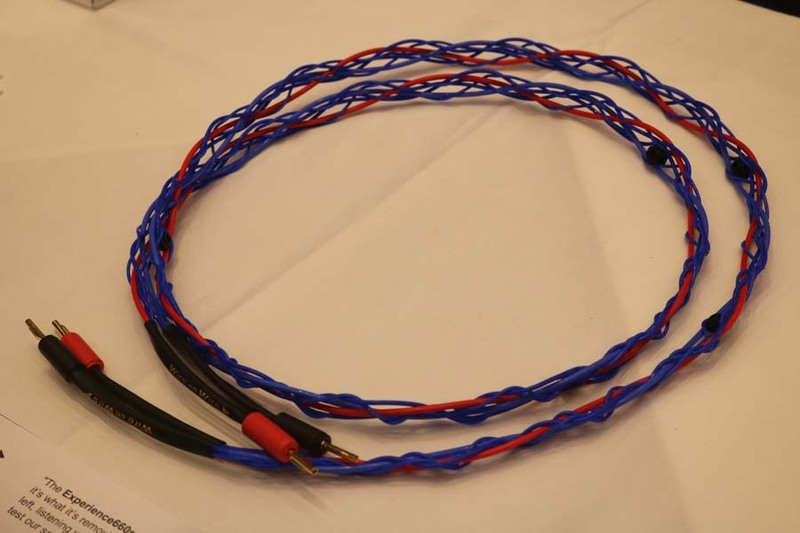 You can read the review of their 680 interconnect cables here and their 660 speaker cables here. 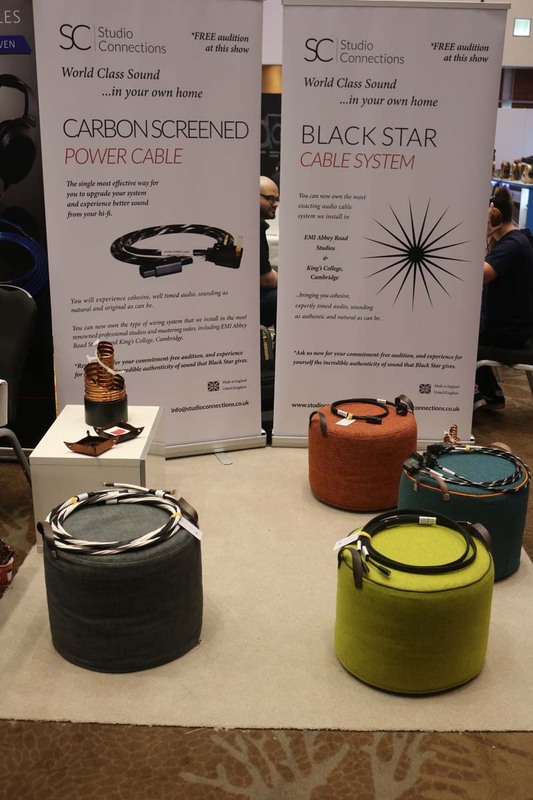 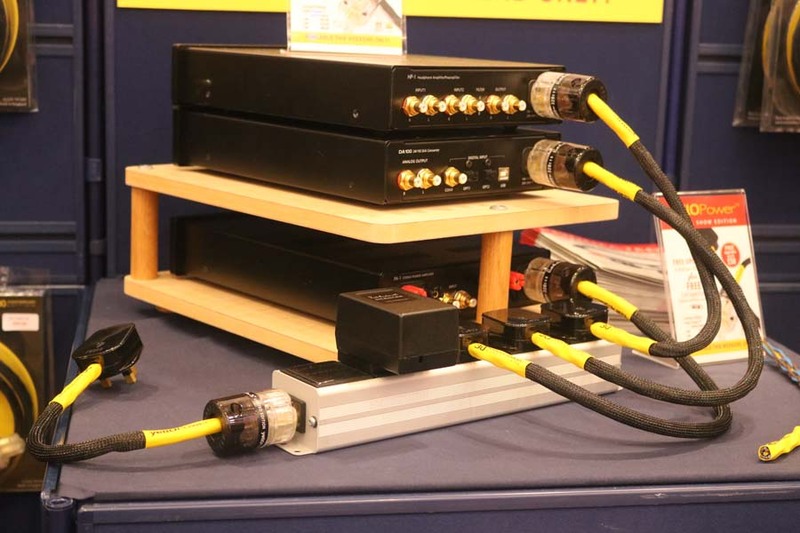 However, for those not wishing to experiment with tuning their own cables the company have introduced to brand new cables that are already set up and ready to go out the box. 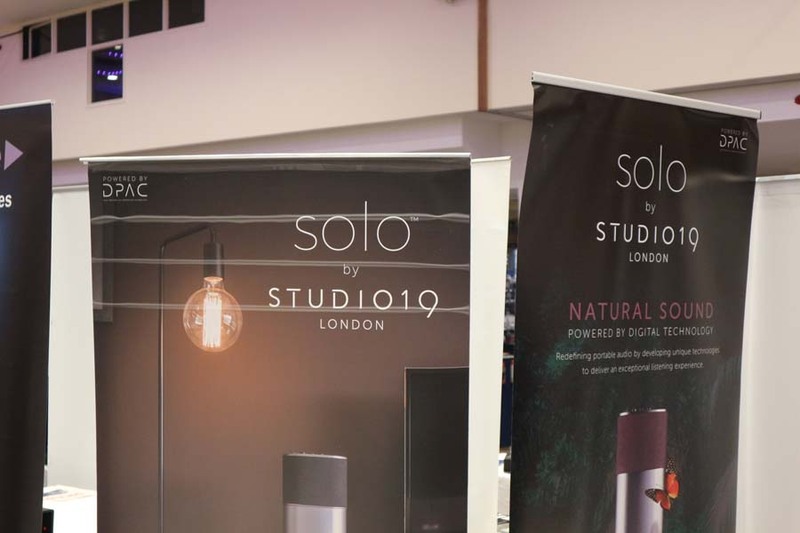 Now this is a good little powered speaker from Studio 19, London which is now been distributed by NuNu Distribution. 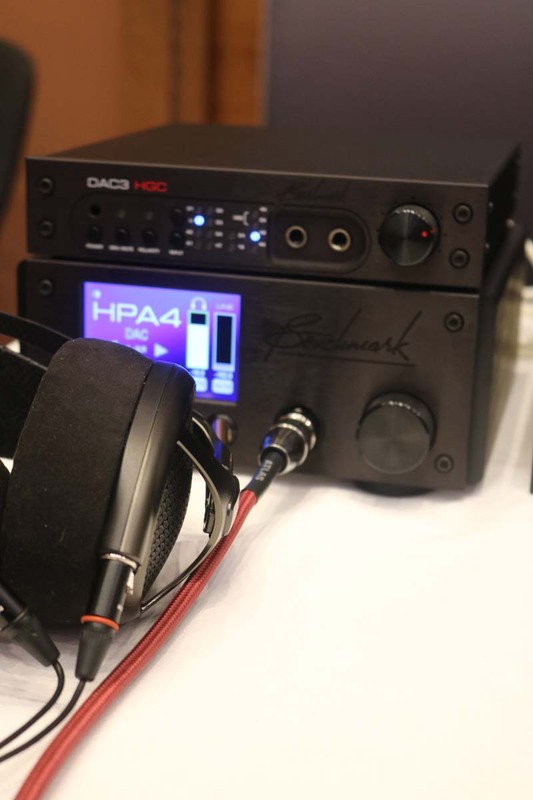 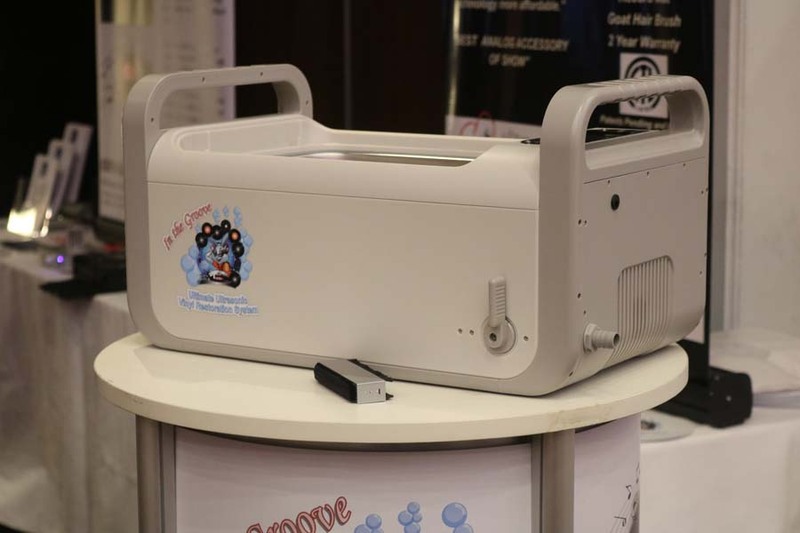 We first spotted these at the North West Audio Show back in June and they were proving very popular with the company selling out of their stock on the day. 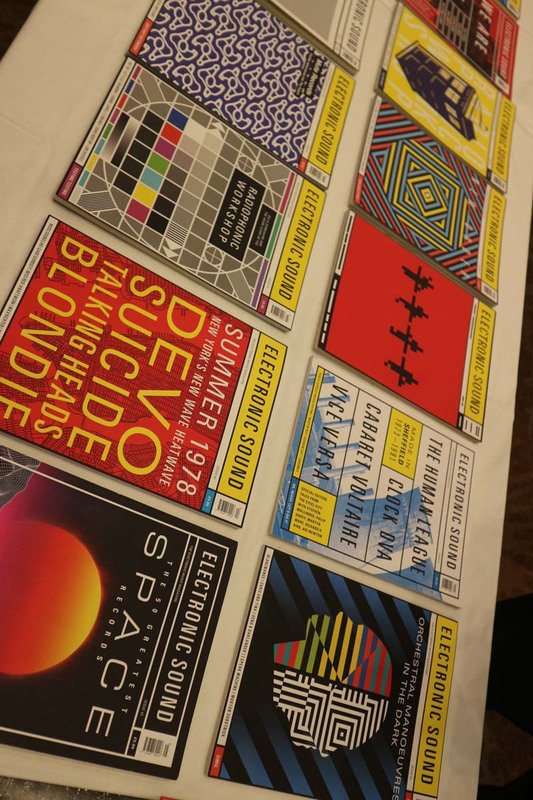 Now this is a good magazine for those of you interested in electronic music of whatever genre. 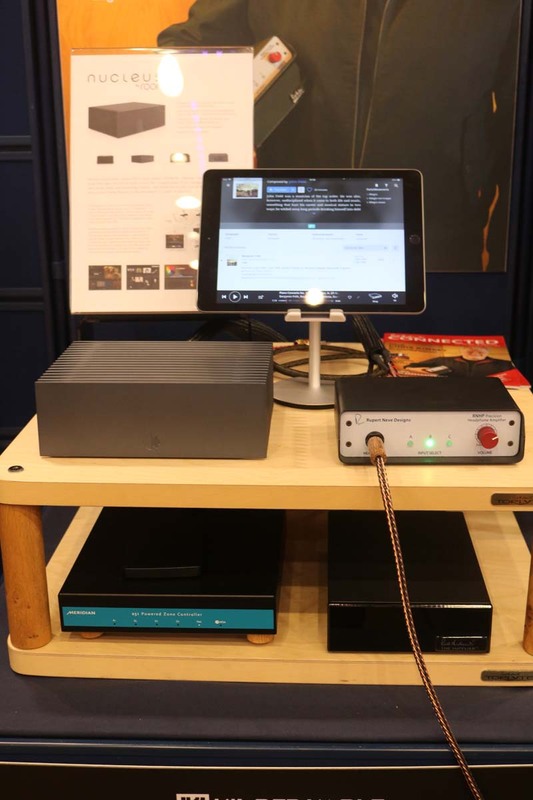 It’s called, as the more observant readers will have noticed, Electronic Sound and I can really heartily recommend it to HiFi Pig readers interested in this kind of music. 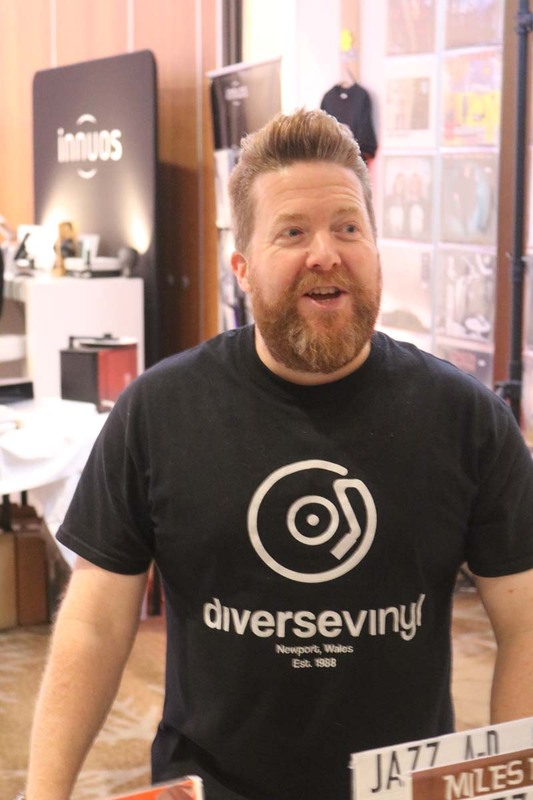 Diggers were catered for very nicely by the excellent Diverse Vinyl guys and Theme One Records. 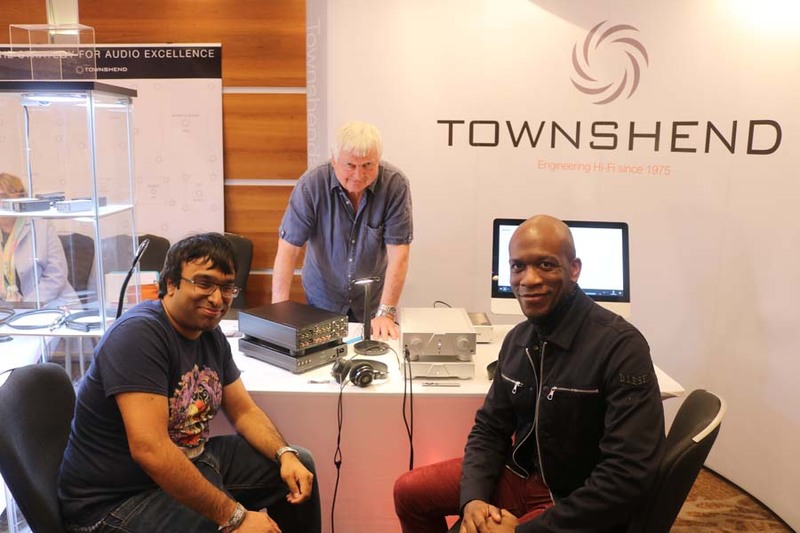 Sounds of the show for me must go to PMC and AVM for their Fenestria speaker system, Bowers and Wilkins for their news 800 series speaker systems and Focal/Naim. 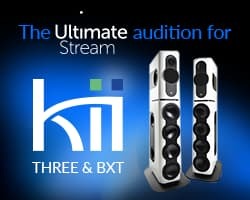 Special mentions should also go to Audiolab and Wharfedale for their entry level system. 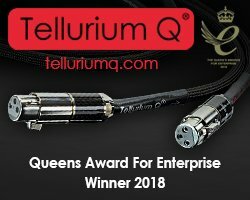 So there you have it, another show over and finished. 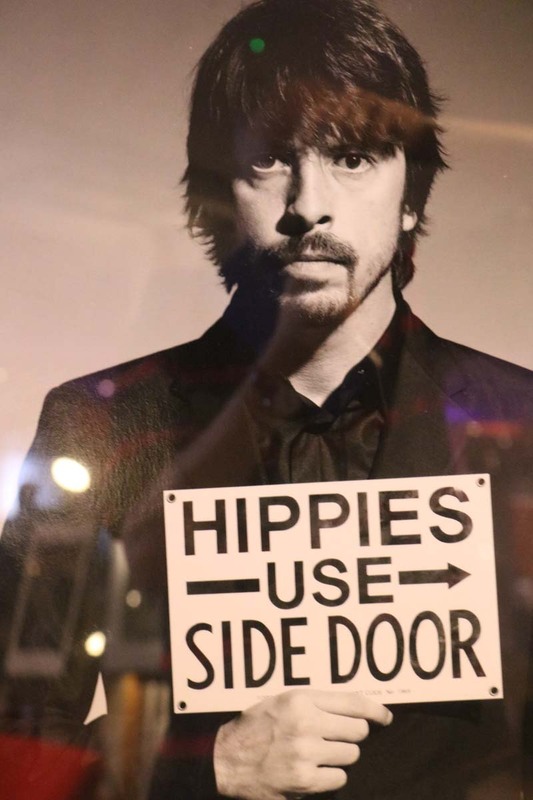 My overall thoughts on the show are that it is very well organised and well thought out. 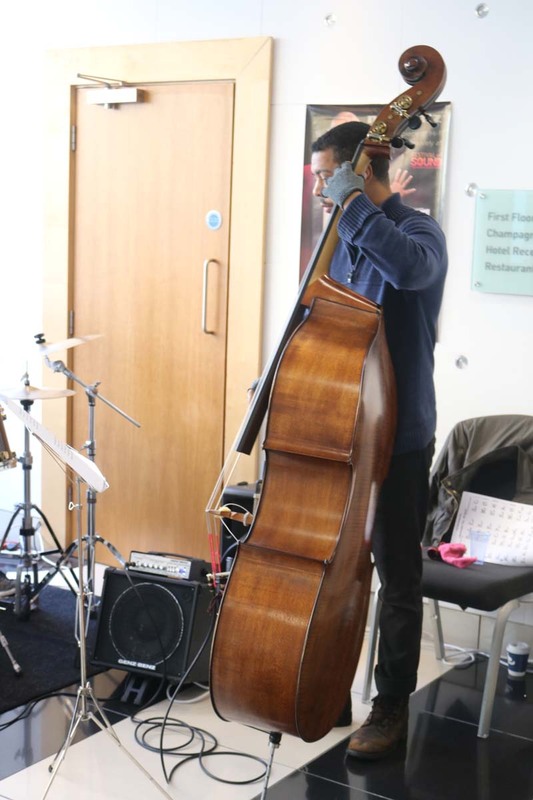 I particularly liked that the organisers had gone to such great efforts to give visitors a wide and varied selection of live music, talks and more and I wish them all the success for the coming year’s event. 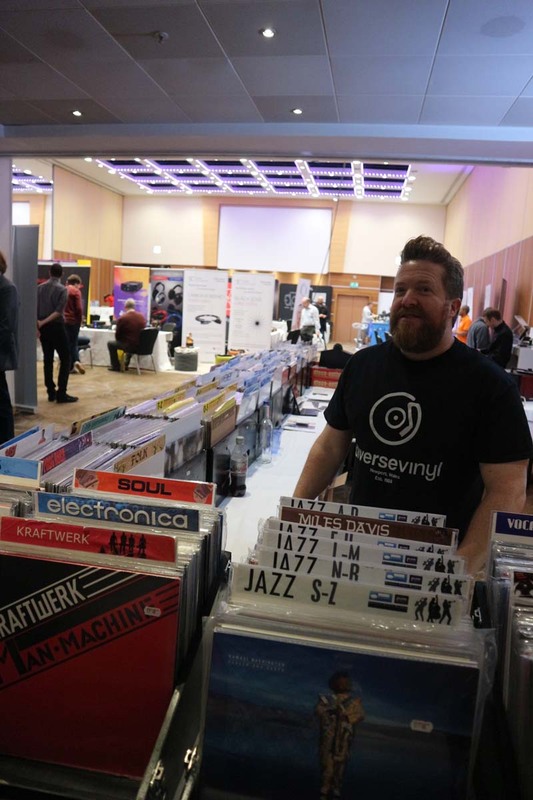 HiFi Pig were particularly pleased to be sponsoring the Mezzanine area and we will certainly wish to collaborate in future years’ events. 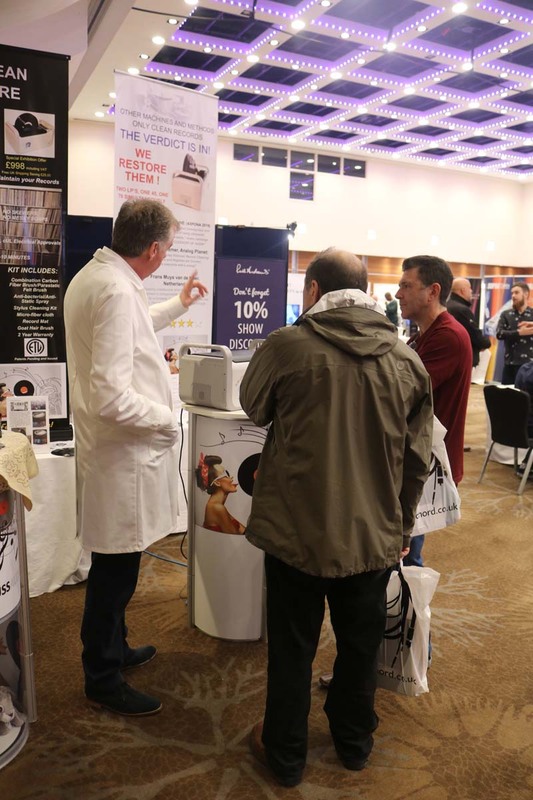 Well done to all involved in organising this event with special mentions going to Amit, Vernon, Phil and Linda…and of course all the exhibitors who really do take a lot of time and effort to make sure visitors have as great an experience as possible.